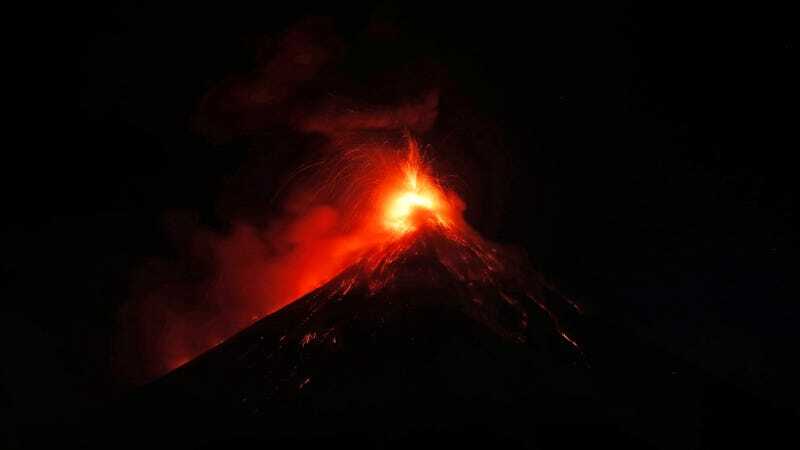 Volcan de Fuego erupts in the early morning hours of Monday. November 19. 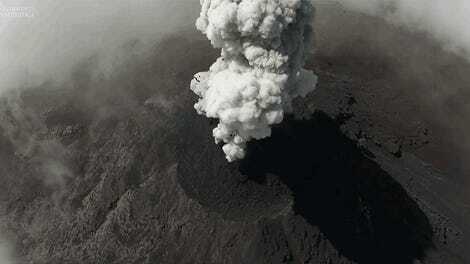 One of Guatemala’s most violent volcanoes is back at it again. Less than six months after a major eruption killed more than 150, Volcan de Fuego roared to life in the early hours of Monday. Burbling lava and a towering ash cloud visible from space sent about 4,000 people scrambling for safety. Fuego has been on a tear this year with notable eruptions in February, June, and now November. This week’s eruption was preceded by small clouds of ash that began puffing from its summit late last week before the pyrotechnics on Sunday night into the wee hours of Monday. INSIVUMEH, Guatemala’s agency responsible for monitoring volcanoes, said in a statement that the ash plume reached roughly 20,000 feet above sea level and sent ash flying nearly 20 miles from the eruption. According to CONRED, Guatemala’s disaster preparedness agency, flashes of lava rose up to 3,280 feet above Volcan de Fuego’s crater. The volcano also flung debris thousands of feet in all directions and some moderate lava flows were observed crawling down its flanks. The late night and early morning hours lent the scene an apocalyptic feel. Though the photos are dramatic, this eruption so far (thankfully) doesn’t compare to one in June. That sent ash towering into the sky before rushing back down the volcano’s flanks as pyroclastic flows—a super hot brew of ash, toxic gases, and debris—that quickly overtook the surrounding countryside. Many residents didn’t have adequate warnings to get out of harm’s way, resulting in one of the deadliest eruptions in Guatemalan history. Prosecutors are investigating the delayed warnings to determine if evacuation order could have arrived sooner and helped save more lives.